New Zealand I a vast and beautiful green land, full of lovely fauna and flora that invites visitors to take their time to explore its spectacular landscapes, flowers, gardens, and vast mountain ranges, sweeping coastlines, steaming volcanoes, lush rain forests and indented fiords. 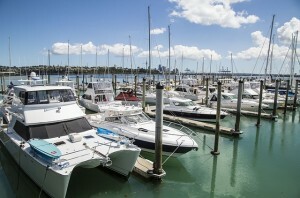 Although most tourists fly into Auckland; every region you visit in New Zealand is a holiday destination in itself and is a haven for those who seek peace and relaxation, as well as for the thrill seekers who enjoy a great adventure. New Zealand is one of the least crowded countries in the world, with a population of 4.1 million. The temperate climate with small seasonal variation makes it the ideal year-round, must-do, holiday destination. A New Zealand tourism visit could include visits to the South Islands, the North Islands, or the Chatham and Rakiura Islands. Topping the list when visiting the North Island are island sanctuaries, active volcanoes, and rich history. This is where New Zealand political history started, in the far North, with landscapes that blend magnificently with wild coastlines, sprawling farmland and geothermal wonders. 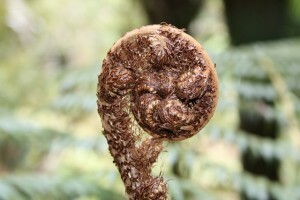 In many parts of the North Island, you will find the rich culture of the Maori. South Island has the purest and most natural landscapes you will ever experience in a panorama of dramatic scenes. Towering alps come down to meet rugged coastlines and peaceful sounds, merging into sweeping plains. Meet the backbone of the island in its down to earth locals. – Marine, wildlife and bird life encounters. Situated 800 km east of South Island are the Chatham Islands. This remote wilderness is ocean bound and well off the beaten track. Known for fascinating wildlife and marine life, it has plenty of fish with outstanding scenery that you will never forget. Outdoor activities abound with hikes, deserted beaches and wild landscapes with unique bird and plant life, as well as ancient fossils. Swimming, kayaking, fishing, and sailing are just some of the activities to enjoy. Take a boat to Pitt Island and you are at the first place on the earth to see the sun rise. Stewart Island is New Zealand’s 3rd largest island, just 30 km south of South Island. In Maori is its known as Rakiura, which means “land of glowing skies”, evidenced by the aurora australis which often appear in the southern skies. Enjoy the outdoors walking, hiking or bird watching. Take boat cruises and the Stewart Island Ferry Service for a great day out.